November is upon us, and that means that Thanksgiving is right around the corner. This week, I’m going to be posting some of my favorite holiday dishes — these are the family favorites we serve every year, with a few new ones thrown in the mix. At the end, I’ll write a wrap-up post with our planned Thanksgiving menu and strategies I use to make the holiday as stress-free as possible. 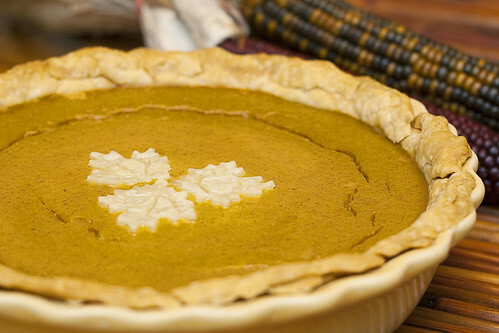 I’m sure everyone has their own favorite pumpkin pie recipe. But this one is easy and flavorful. You can’t go wrong with it! Press the pie crust into a 9-inch pie dish. Set aside. Beat together the rest of the ingredients in the bowl of a stand mixer fitted with the paddle attachment. Pour into the crust and bake for 15 minutes. Reduce heat to 350 degrees and bake 35 to 45 minutes more. 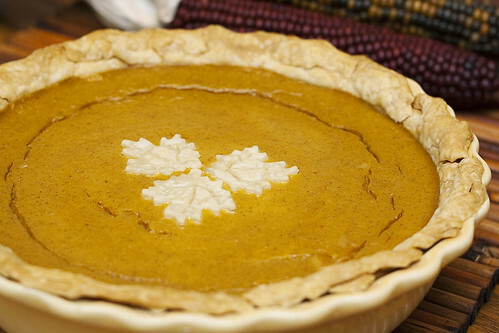 This easy, flavorful recipe for Pumpkin Pie is a staple at our Thanksgiving celebration!